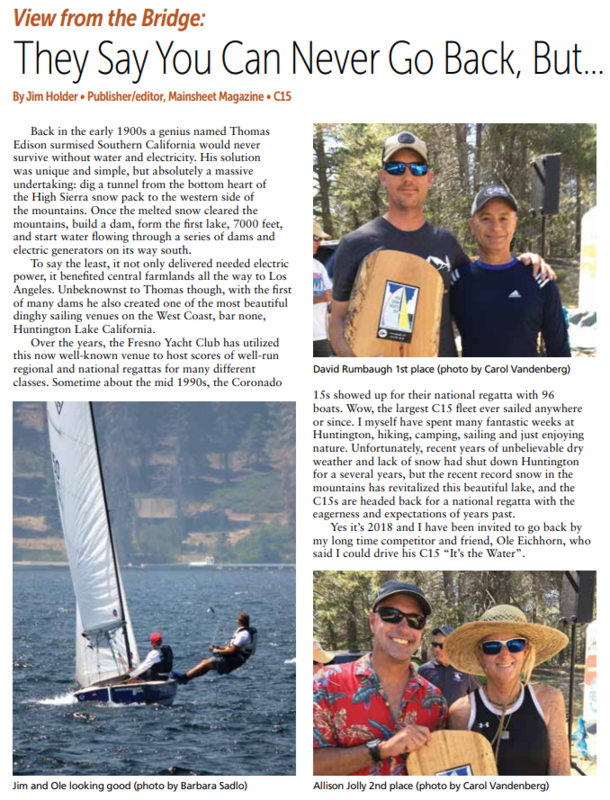 Jim Holder, our eldest skipper, sailed with Ole Eichorn #2150 “It’s The Water”, but he is also the editor of Mainsheet, Catalina Owners’ magazine. He wrote this nice article about his most recent experience at Huntington Lake. He is an inspiration for all of us. I followed him to the finish on the last race and I hope to follow his example on the water for many years to come.